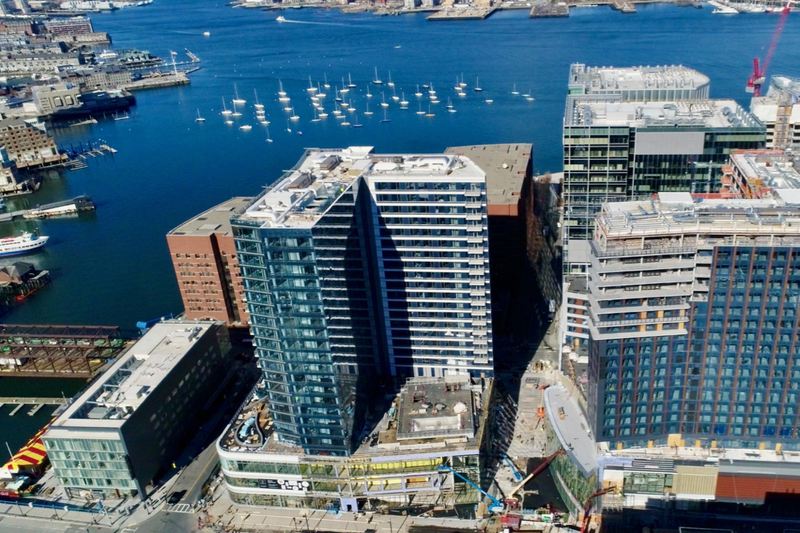 In addition to unobstructed views, The Benjamin features 8,000 square feet of resident common space, including two outdoor terraces on the fourth floor with fire pits, grills, and a seasonal pool overlooking Fort Point Channel. Below the resident amenity level there will be an Equinox Fitness Club, Scorpion Bar & Restaurant, and a new nightclub called The Grand (from the same company behind Empire). There are also several hundred private and public underground parking spaces, spread across both The Benjamin and its sister tower, VIA. The building is still an active construction site so tours are limited but units have been leasing up quickly, driven in large part by residents of the neighboring high-rises. For more information on The Benjamin, or to schedule a tour, please contact me directly at msteinert@warrenre.com or 617-903-8194.